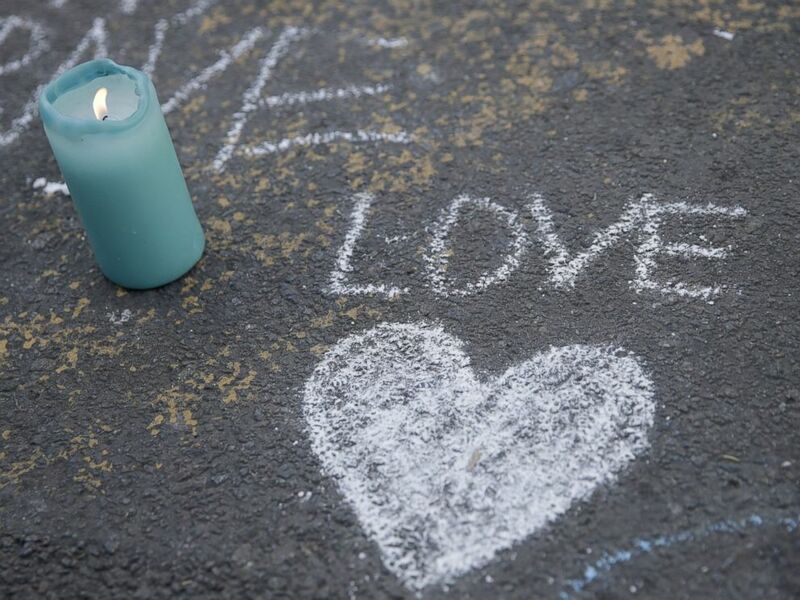 A candle burns next to a heart drawing at a makeshift memorial at Place de la Bourse following attacks in Brussels, March 22, 2016. 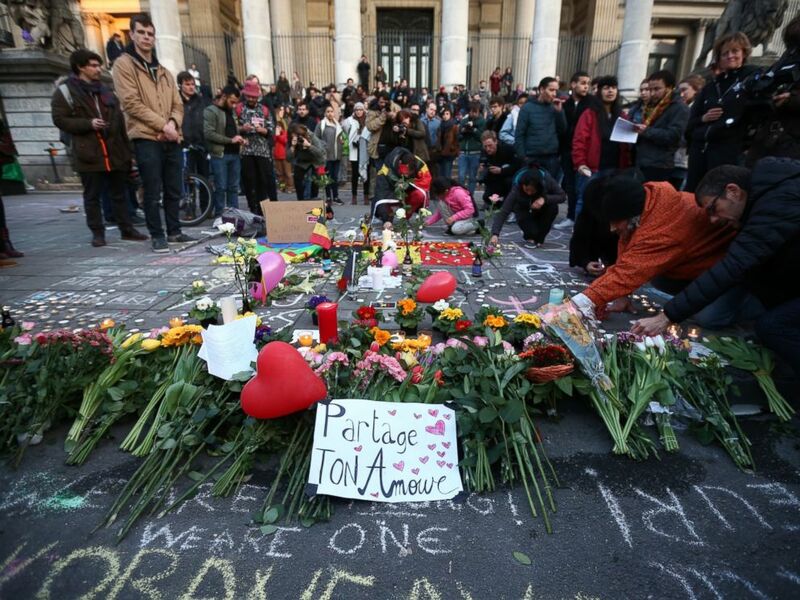 People gather to leave tributes at the Place de la Bourse following today's attacks, March 22, 2016 in Brussels. 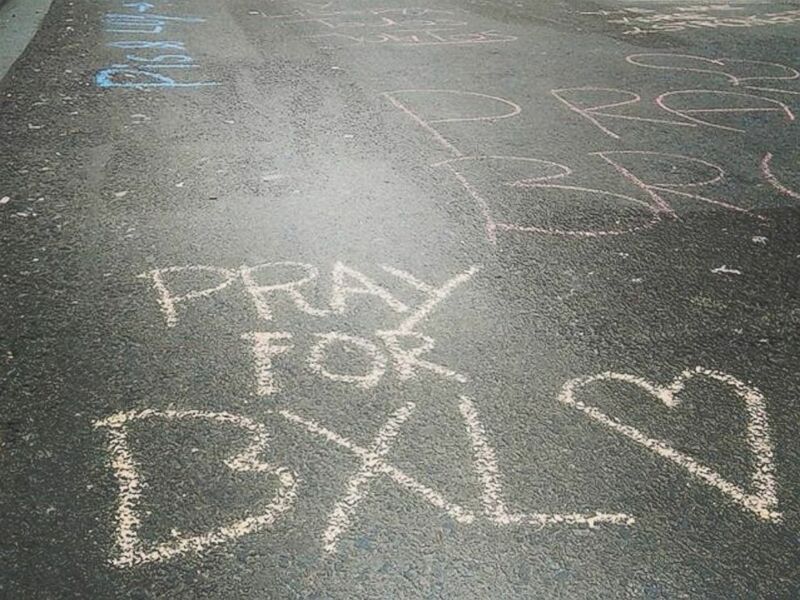 These were just some of the messages drawn across a Brussels plaza after explosions rocked the Belgian capital earlier today. Joey Leslie posted a photo on Instagram with the message: "Magnificent people in a vibrant, resilient city. Honored to be here. #WEAREBRUSSELS"
Belgians and tourists gathered in the plaza outside the Bourse –- the Belgian stock exchange –- to pay tribute to at least 31 killed and dozens more injured at the Brussels airport and metro station. Bourse Square is just a few miles from the Zaventem airport, where two explosions occurred, and two miles from the Maelbeek station, where a third blast hit. 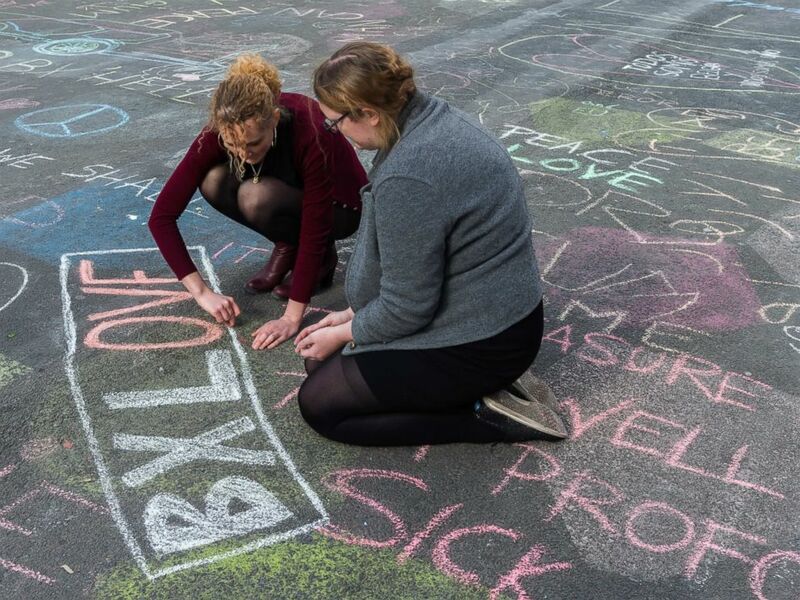 Two people write solidarity messages in chalk outside the stock exchange in Brussels, March 22, 2016. Messages have been building over the course of the day, ranging from anger to resilience to calls for love and peace. Hundreds flocked to the square, despite calls from officials to stay indoors. 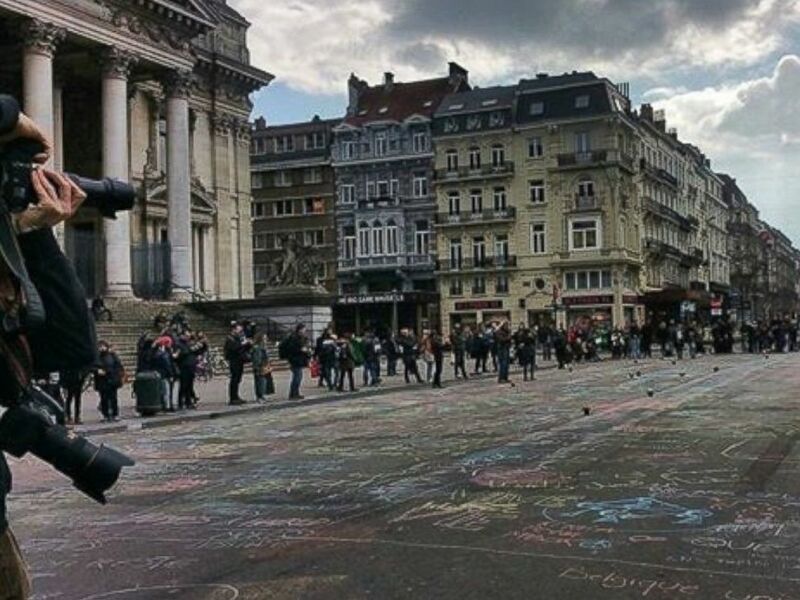 Virgine Nguyen Hoang posted a photo on Instagram with the message: "People start writing on the ground of #brussels center in solidarity with the victims. #onassignment"
Other countries have joined in acts of solidarity and mourning for the lives lost in the Belgium attacks. Iconic buildings around the world will be lit in the colors of the Belgian flag -- black, yellow and red -- including The Eiffel Tower, Dubai's Burj Khalifa, the world's tallest skyscraper, and One World Trade Center in New York.